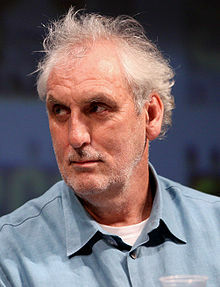 Phillip Noyce (born 29 April 1950) is an Australian film director. He is an AACTA Award-Winning Film Director and has directed over 19 films, including Rabbit-Proof Fence (2002), Patriot Games (1992), Salt (2010) and Clear and Present Danger (1994). Noyce was born in Griffith, New South Wales, attended high school at Barker College, Sydney, and began making short films at the age of 18. A poster for a screening of “underground” films had captured his imagination and the 16 US and Australian experimental films ignited something else. Four months later he shot his first short film, the 15 minute Better to Reign in Hell financed by selling roles to his friends. In 1969, Noyce became the manager of the Sydney Filmmakers Co-op, a collective of filmmakers. With Jan Chapman, he ran the Filmmaker's Cinema for three years atop a socialist bookshop in Sydney, screening the short films of the directors who would go on to form the Australian New Wave: Gillian Armstrong, Peter Weir, Bruce Beresford, George Miller, Paul Cox. These were a generation of boomers who had grown up rarely seeing an Australian film, as British and American interests controlled distribution and exhibition Australia wide. After graduating from Sydney University, he joined the Australian Film, Television and Radio School in 1973, and released his first professional film in 1975. Many of his films feature espionage, as Noyce grew up listening to his father's stories of serving with the Australian Commando unit Z Force during World War II. After his debut feature, the medium-length Backroads (1977), Noyce achieved huge commercial and critical success with Newsfront (1978), which won Australian Film Institute (AFI) awards for Best Film, Director, Actor, Screenplay, and opened the London Film Festival and was the first Australian film to play at the New York Film Festival. Noyce worked on two miniseries for Australian television with fellow Australian filmmaker George Miller: The Dismissal (1983) and The Cowra Breakout (1984). Miller also produced the film that brought Noyce to the attention of Hollywood studios – Dead Calm (1988) which launched the career of Nicole Kidman. Moving with his young family to the United States in 1991, Noyce directed five films over the following eight years, of which Clear and Present Danger, starring Harrison Ford, was the most successful, critically and commercially, grossing $216 million. After 1999's Bone Collector starring Angelina Jolie and Denzel Washington, Noyce decided to return to his native Australia for Stolen Generations saga Rabbit-Proof Fence, which won the AFI Award for Best Film in 2002. He has described Rabbit-Proof Fence as "easily" his proudest moment as a director: "Showing that film to various Aboriginal communities around the country and seeing their response, because it gave validity to the experiences of the stolen generations." Although independently financed, the film was a huge hit with Australian audiences and sold worldwide. In 2011, Noyce directed and executive produced the pilot for the ABC series Revenge and has since directed numerous TV pilots, including Netflix's What/If starring Renée Zellweger which premieres in June 2019. Noyce's most recent film is Above Suspicion, starring Emilia Clarke and Jack Huston, to be released in August 2019. Phillip Noyce's next film will be Rats of Tobruk adapted from his father's diary of the epic World War II Siege of Tobruk in Libya. Noyce has been married three times. He was married to film producer Jan Chapman from 1971 to 1977. From 1979 to 2004, he was married to producer Jan Sharp, with whom he has two children. He is now married to designer Vuyo Dyasi, with whom he has two children: a son, Luvuyo and a daughter, Ayanda. ^ a b "Phillip Noyce: Salt – The Treatment". KCRW. 21 July 2010. Retrieved 24 January 2011. ^ "Steve Dow, Journalist". Stevedow.com.au. Retrieved 24 October 2012.